Avocados, now riding a tide of popularity appearing on toast in cookbooks and trendy restaurant menus, came late to commercial agriculture, reported Cynthia Graber and Nicola Twilley in Gastropod, a podcast that looks at food through the lens of science and history. The 48-minute story features Mary Lu Arpaia, UC Cooperative Extension specialist based at the UC Kearney Agricultural Research and Extension Center in Parlier. Arpaia runs the UC avocado breeding program and is now studying varieties that will do well in the San Joaquin Valley climate. On Gastropod, Arpaia outlined avocados' humble beginnings in their native Mexico and Central America. "It was grown as a dooryard crop tree and valued for thousands of years," Arpaia said. "There was no intensive production of avocado until the industries in California and Florida started about 100 years ago." The most popular variety is the Hass, which is derived from a seed planted in La Habra Heights by a hobby horticulturist, Rudolph Hass, a U.S. Postal Service worker. "The thing against it (the Hass variety) was it turned black when ripe. It's a great tree with great fruit, but it's black," Arpaia said. "So it just shows how things have changed." Consumers now embrace Hass' black, bumpy coat. 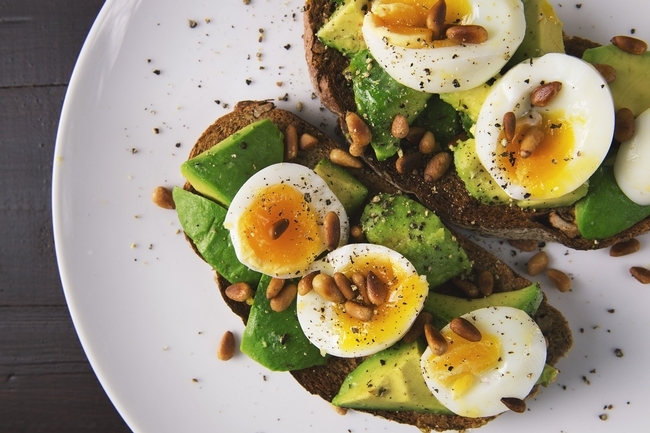 Graber and Twilley spent time on the show describing the "avocado toast" sensation around the globe. The duo quoted an article in Vogue that says 3 million new pictures of avocado toast are uploaded to Instagram every day. The future for avocados looks bright. Already China imports 32,000 tons of avocados annually, but the market potential is much greater. "I can't even imagine how big avocado will get in China," said one of the Gastropod hosts.